Meet the Injury Whisperer. 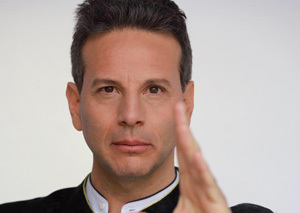 Sifu Matthew is a Kung Fu master & healer who shares his scientific practice of healing using the body’s electromagnetism. Learn what blocks our healing and how to activate that healing now. In a group healing session (8:30-9pm), Matthew will realign your electromagnetic fields, remove blockages, and help to invigorate your healing forces. Sifu Matthew is a healer, athletic performance expert, and founder of The Martial Arts of Wellness. His healing works with helping to regenerate body tissues, ligaments, and bones using the electromagnetism of his own body.